Saturday was errand day. Just when I tell myself, "I am done" with this holiday, things rare up and I'm not done, not close to done, not even. In my travels, I saw this item. 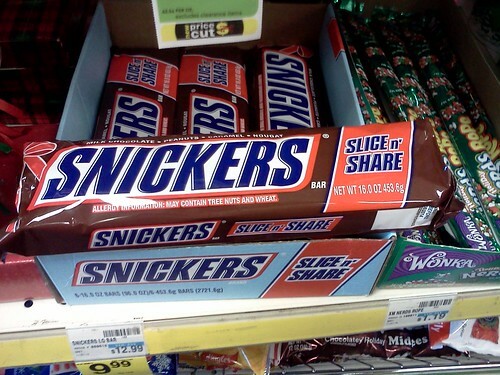 That is a one pound Snickers bar. It was on sale for $10. I could make that last a long time. Slice? Sure. Share? I think not.